Literary Classics is an organization dedicated to promoting excellence in literature. Through our AWARDS, BOOK REVIEWS, and SEAL OF APPROVAL PROGRAM, we help you sort through the many books in circulation today. It is our goal to help you select the finest books available. Additionally, our programs offer opportunities for publishers, authors and illustrators to receive recognition for providing excellence in literature. WHEN DID YOU FIRST KNOW YOU WANTED TO BE A WRITER AND WHY? I was hit by a car when I was 12 and spent many years on crutches as a result. One summer I read the entire set of LANDS and PEOPLES Encyclopedia, and knew then that I would be a traveler and a writer one day. AS A CHILD, WHAT DID YOU ASPIRE TO BE WHEN YOU GREW UP? Just what I am - a writer and a world traveler. I have been to all seven continents and 106 countries. I’ve hugged a penguin in Antarctica, and spent 5 months with my husband on an uninhabited island in the Galapagos Islands tagging turtles for the Darwin Research Station. I’ve written nine books set in Africa after living there for 19 years. I always try to show my readers that no matter how different their lives may be, kids around the world always have lots in common. HOW DID YOU GET THE IDEA FOR YOUR AWARD WINNING TITLE? WHAT OTHER BOOKS HAVE YOU PUBLISHED? 3. Konte Chameleon, Fine, Fine, Fine! (Boyds Mills Press). Illustrated by Christian Epanya. A re-told folktale from West Africa about why the chameleon never hurries. Soon to be available on Print on Demand. Watch my website. 4. Jubela (Simon & Shuster) Illustrated by JoEllen MacAllister Stammen. A true story set in Swaziland about a baby white rhino who is adopted by another white rhino when his mother is shot by poachers. Received “Henry Bergh Honor Award” from the American Society for Prevention of Cruelty to Animals (ASPCA) and was a Junior Library Guild Premier Selection. Available on my website. 5. My Great-Grandmother’s Gourd (Orchard Books and Scholastic) Illustrated by Walter Lyon Krudup. Based on a true story set in Sudan about a young Sudanese girl’s love for her grandmother. Winner of the “CABA Honor Award” from the African Studies Association. Re-printed in anthologies by National Geographic and Junior Great Books Foundation. Also NPR Kwanzaa book read on "A Season's Griot" program. Soon to be available through my website or Amazon.com as a Print on Demand book. 6. No Condition is Permanent (Philomel/Penguin) YA novel set in Sierra Leone about a cross-cultural friendship and the challenges it presented. Available on my website or Amazon.com as an e-Book or Print on Demand. 7. Our Secret, Siri Aang (Penguin) YA novel set in Kenya about a young Maasai girl who tracks a poacher into the bush. Winner of the “Henry Bergh Award for YA Novels” from ASPCA, also a “Notable Books for a Global Society” selection from the International Reading Association (IRA). Available on my website or Amazon.com as an e-Book or Print on Demand. 8. The Best Beekeeper of Lalibela (Holiday House) Illustrated by Leonard Jenkins. Set in Ethiopia about a young girl who enters the traditionally male world of beekeepers. A “Notable Books for a Global Society” selection from the IRA. Available from my website. 9. Trouble in Timbuktu (Penguin) YA novel set in Mali about young Bella twins saving ancient manuscripts of Timbuktu from foreign collectors. Winner of the “CABA Honor Award” from the African Studies Association. Available on my website or Amazon.com as an e-Book or Print on Demand. Although my first love is writing books for kids, my writing involves many different venues. I have written for travel magazines, in-flight magazines, newspaper travel sections, FACES and SPIDER Magazines, and fundraising materials for non-profit organizations. I started with articles for AARP and Highlights for Children magazines when I began writing. I have taught more than 250 writer's workshops for kids, and just taught my first memoir workshop called "Senior Moments". I guess my point is that writing can take you on writing adventures you never considered, as long as you're open to all possibilities. Every new opportunity is a new writing challenge. WHICH AUTHOR HAS MOST GREATLY INFLUENCED YOUR WRITING STYLE? I don’t think there is any one. 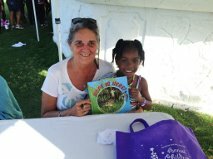 Nine of my books are set in Africa and written from the perspective of kids from other cultures. Each story and approach is different. I want my readers to hear the voice of a kid from another country, and to take my readers to Africa rather than bring Africa to them. WHAT BOOK HAS HAD THE GREATEST IMPACT ON YOUR LIFE? As a kid I loved Anne of Green Gables by L. M. Montgomery. More recently the book that’s touched me the most is Mockingbird by Kathryn Erskine. WHAT HAS BEEN YOUR GREATEST LITERARY ACCOMPLISHMENT? My greatest accomplishment happened recently. In 1999 I was the Visiting Author at the International School in Dar-es-Salaam, Tanzania. Throughout my visit one young girl from Zanzibar, in a headscarf and John Lennon glasses, met me each morning, saw me off at the end of the day, and attended every session she could. I never forgot her. About 3 years ago she tracked me down to say, “Thanks for giving me the courage to pursue writing. I am now a senior in journalism at Cornell University.” She just wrote me again two weeks ago to say that she is now a researcher and writer in London for BBC News and Al Jazeera News. WOW! CAN YOU DESCRIBE THE PROCESS OF BECOMING PUBLISHED AND ANY TIPS YOU MIGHT OFFER FOR OTHER ASPIRING AUTHORS? Things are very different now. Self-publishing did not exist when I started, so it was entirely a matter of finding a publisher. I sold my first three books, and then I got an agent which made things easier. The thing that changed my writing life was attending a Highlights for Children Chautauqua Writing Conference. I encourage aspiring authors to attend writing conferences for the interaction with fellow writers and opportunities to meet editors, agents and publishers. CAN YOU OFFER ANY ADVICE FOR WRITERS ON HOW BEST TO PROMOTE THEIR BOOK? Promotion is my weakest link. All I can say is do better than I have. Be active and a bit aggressive in promoting your book. I mainly rely on my wonderful website that celebrates my books and the other activities I have. IS THERE ANYTHING ELSE YOU'D LIKE TO SHARE WITH OUR READERS? I wish I had taken more of the editor’s advice on some of my books. If you do have an editor, take advantage of their expertise. It’s easy to get defensive about your words, but carefully weigh suggestions and decide which to use. I listen much better now! DO YOU HAVE ANY NEW BOOKS IN THE WORKS? I have just finished writing a book called Hammerkop Hotel. ​This book is so new that my agent hasn’t even seen it yet. It’s about these wonderful birds that live in Sub-Saharan Africa. They mate for life and build huge nests they share with other birds. I’ve thought about Hammerkops and this book for years. I recently saw them again on a trip to Africa last June, and that got me writing. Hopefully a publisher will pick it up. Great interview! Congrats to Cristina for her impressive successes. Literary Classics and Children's Literary Classics Book Reviews and Awards ®. Watermark theme. Powered by Blogger.